Aging effects on skin are earlier than expected, as we grow older. However, there are certain simple things you could do, the slow down the process. Read on! 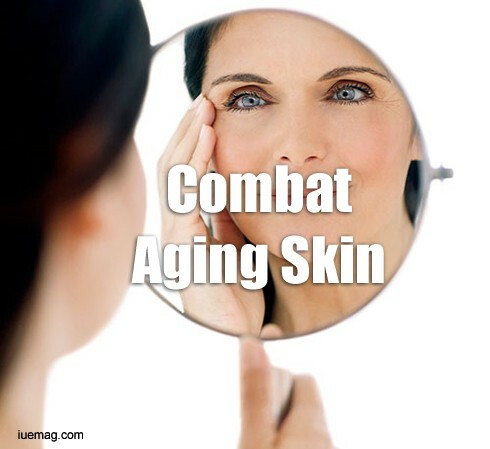 In the previous article we stopped at what we could do to combat the effects of aging on the skin. Here are 9 things you could do to delay the process of aging and look your best. 2. Incorporate Vitamin C in your diet: Vitamin C is known to build collagen, so make sure you incorporate some citric fruits in your everyday diet. You could even use lemon essential oil with water if you prefer to. 3. Use a night cream containing Hyaluronic acid: What hyaluronic acid does is, it acts filler and helps to plump out any fine lines or helps fill in wrinkles over a period of time. Definitely beneficial for age groups over 25 years. 4. Increase Protein consumption: This goes without saying, protein helps maintain the integrity of your skin thereby helping it to remain at its best and age slower than usual. 5. Vitamin B complex is essential: If you feel your diet does not comprise of sufficient Vitamin B, you could have a vitamin B complex substitute after consulting your doctor. 6. Add a couple of drops of Frankincense and or lemon and or Lavender in your skin care regimen: Please refer to the article on essentials oils to know more about these oils and their benefits. Adding a few drops to your night cream is certainly going to be helpful and is all natural. 7. Make sure you use Sunscreen and keep your skin moisturized: Who wouldn’t agree on the fact that the harmful rays of the sun age your skin prematurely. Thus using sunscreen keeps your skin protected. Moisturizing the skin keeps it hydrated and nourished and we know how a nourished face looks like. 8. Avoid alcohol and Smoking: Needless to say, alcohol and smoking have their negative effects on the skin by making it age before time. So maintaining a healthy lifestyle is something that your skin is going to thank you for. 9. Use tried and tested Cosmetics: Using cosmetics that are not suitable to your skin makes them dull and does more harm than good. So the next time, before you buy your new skin products, please ensure they are from a reliable brand. Taking care of your skin is up to you and looking young is nothing but enabling your skin to look its best by giving it the best care. We all owe that to ourselves, don’t we?